Guillermo del Toro and Ron Perlman are set for another creative collaboration – but it doesn’t involve a certain cigar-chomping demon. 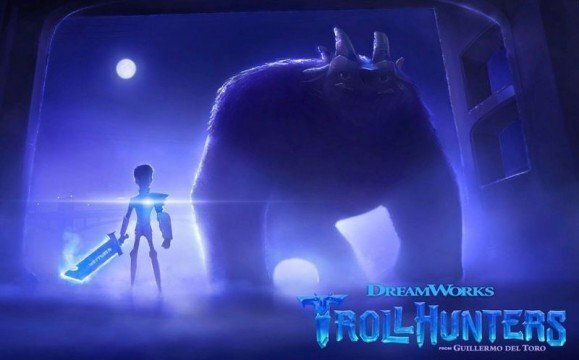 Instead, the Pacific Rim duo will reteam for Trollhunters, the new animated fantasy series that has set up shop at Netflix. According to Variety, Perlman has joined the cast as Bular, a malicious troll that causes all manner of havoc for our leading hero, Jim (Anton Yelchin). Also bound for the voice booth is Kelsey Grammer who, unlike Perlman, will lend his vocal chords to a friendly troll known as Blinky. Not to be confused with André Øvredal’s low-budget Norwegian flick, Trollhunters is expected to premiere exclusively on Netflix. We’ll update this article if and when the company nails down release plans.